Safety is our number one priority. We are committed to delivering students to and from school safely and efficiently. If you would like to register your child to ride the bus, please complete a Bus Rider Information form found on our Registration page. Riding the bus is a privilege. We require students who ride our buses to adhere to our rules, for their own safety as well as the safety of others. 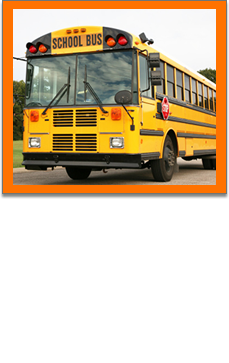 We are always looking for great people to work as activity bus drivers. Please visit our Job Postings page for more information.